To set-up the activity tables from 14:00 and explain what needs doing. Visitors will arrive from 16:00. 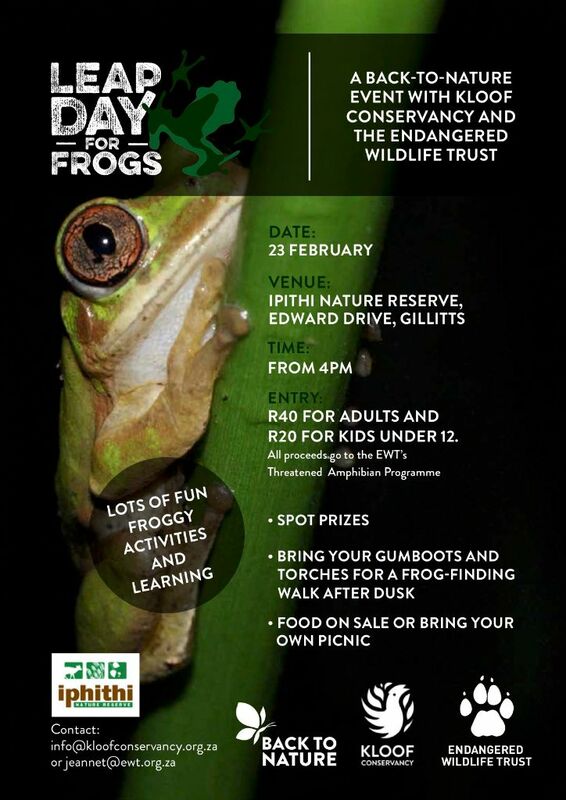 The activities at the tables will be completed by about 18:30 and the Frog search will start as soon as it is dark – around 19:00. Please e-mail info@kloofconservancy.org.za if you are able to assist.